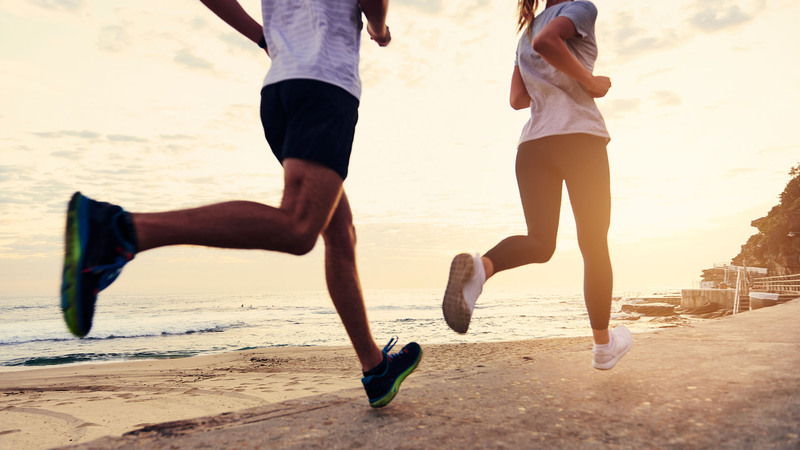 5 ways Fitbit will help you stay connected with your partner while running solo. It’s the age-old conundrum: you and your partner love keeping fit, but the idea of working out together? Well, it’s just not right. She loves circuit training, he loves the classes, and both of you believe a great afternoon jog is one run alone. And yet, a bit of friendly competition has never hurt anyone. Here’s how you and your partner can workout together – but apart. Like any good competition, you need to know what you’re aiming for. Set a common goal that is refined to your individual fitness goals: maybe you both want to try for a 10 km run by the end of the month. Or maybe you both want to hit 10,000 steps a day. Make sure it’s challenging, but achievable. Even if you’re at the gym and they’re on the beach, you can both be tracking your workout progress using a fitness tracker like Fitbit. It will record your distance, calories burned, and length of workout – so you can share and compare afterwards. Here’s the fun part: the Fitbit has ongoing tracking that allows you and your partner to share and compete with your goals, as well as earn badges and celebrate fitness milestones along the way. So if you’re into yoga, and they love the weights; or if you’re idea of a perfect workout means ‘me time’, not ‘we time’, then get involved with shared Fitbit workouts. It will keep you together – while at a safe distance from sweaty hugs.